NEH Humanities Initiatives at Historically Black Colleges and Universities are intended to strengthen the teaching and study of the humanities. Subjects covered include history, philosophy, literature, religion, and the interpretation of the arts. These grants may be used to develop new humanities programs, or enhance existing ones, as well as resources and courses. In the last five competitions, the Humanities Initiatives at Historically Black Colleges and Universities program has made an average of three awards per year, for a funding rate of 13 percent. For more information about the NEH Humanities Initiatives at Historically Black Colleges and Universities, please visit the program website. South Arts is searching for leaders in the presenting field from our nine-state region (including the Georgia Council for the Arts) to serve as panelists for our grants program. Panels will take place in April, May, and June. Each panel will be comprised of several panelists who have proven experience and expertise in at least one of the major performing arts disciplines (dance, music, and theater) or in literary arts. Panels will be held in a web-based format (via phone and computer). Panelists are not expected to travel; however, each panelist must be able to commit to a brief orientation/training session, independent review and evaluation of applications, and one full-day of panel discussion. South Arts, in partnership with the National Endowment for the Arts, supports multiple funding programs through the South Arts Fund. Touring grants support performing arts and literary arts presenting organizations for engagements by guest touring artists from outside of the presenter’s state. Eligible projects (theatre, music, opera, musical theatre, dance, and literature) must include publicly accessible performances or readings and educational activities that provide opportunities for people to participate in the arts. To nominate yourself as a panelist for the grants program, please complete the online form. Submitted nominations will be held for consideration for two years. If you have any questions of concerns, please visit the website or contact Nikki Estes at (404) 874-7244, ext. 16. The UNCF has been invited to submit a nominee for the Andrew Carnegie Fellows Program. 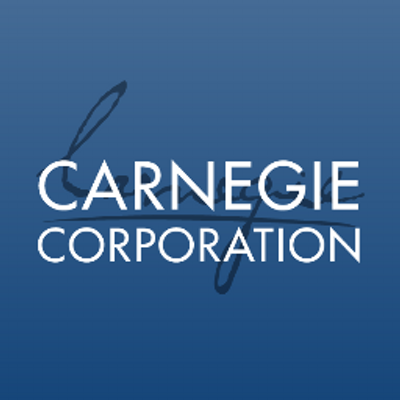 The Carnegie Corporation of New York will award up to thirty-five fellowships of $200,000 to support travel, research assistants, and/or sabbatical time. Extraordinary senior or junior scholars at Spelman are invited to submit their names for consideration. Because the fellowship program aims to support the social sciences and humanities, proposals should “incorporate historical precedents, cultural underpinnings, and/or moral arguments.” This fellowship is available only to U.S. citizens or permanent residents. Faculty wishing to be considered for nomination should forward a CV and one-page project summary to Claudia Scholz by October 30, 2017. If you are selected as the nominee, you must prepare a prospectus, budget, and summary, as well as submit your photo, CV, abridged CV and nomination letter by November 17, 2017. Fellows will be selected by April 2018. Possible topic areas include, but are not confined to, inequality, access to education, religion, gender, race, migration and immigration, the widening poverty-wealth gap, political polarization, civic participation, individual rights and privacy, forms of cultural expression, incarceration, judicial and criminal justice reform, rule of law, the voting process, the party system, and the public good. Possible topic areas include, but are not confined to, cybersecurity, big data, machine learning, artificial intelligence, the impact of technology on privacy, civic participation, impact of traditional and social media, accountability of tech industry, challenges to and varieties of individual expression, the power of imagery, approaches to death and dying, cognitive science and human creativity, definitions of the human and the post-human, and ethical issues raised by medical and scientific research. nationalism; national sovereignty; human rights; race; gender; religion; access to education; migration and immigration; refugee crises; demographic changes; challenges to cultural legacies; national security and civil liberties; poverty; terrorism; international law; nuclear, chemical, and biological weapons; war and peace in the 21st century; and translation, transmission, and transformation of cultures. climate change, health, inequality, human rights, defining the Anthropocene, ethical implications of environmental issues, and literary and cultural expressions of environmental change.